Study after study show that implementing a new AMS, LMS, or Website is fraught with risks. Projects frequently go over budget, exceed timeline expectations, and do not achieve the value originally envisioned. The risk of failure is particularly high for associations that do not have the expertise or experience to guide a complex technology project to a successful conclusion on their own. Success or failure is not determined by the actions of your new system vendor alone. The vendor does not control aspects of the project such as requests that cause scope creep, or decisions about unnecessary customizations, or a tendency to automate your legacy business processes on the new system, or a wide range of other issues that are under your control. Success depends on planning for the inevitable risks your project will face, and executing a proactive risk mitigation strategy throughout all phases of the project. The Framework’s Risk Register identifies more than 90 common risks inherent in new system implementations, and guides you through best practice strategies for addressing problems before they occur. 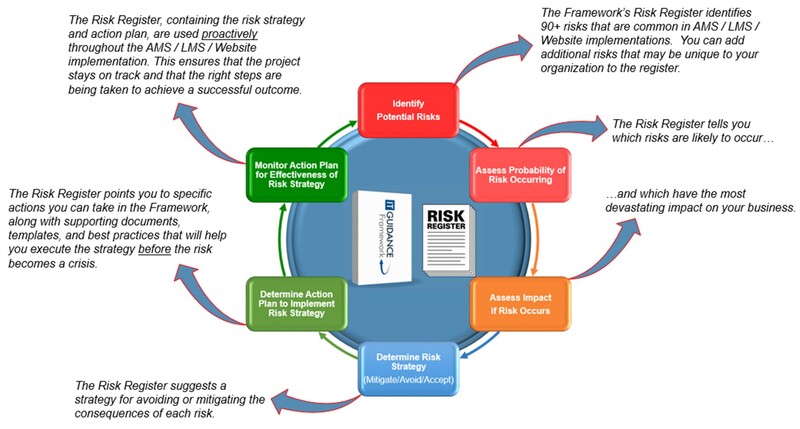 A Risk Management emphasis is embedded throughout the Framework in order to help you navigate through problematic areas that often derail the implementation of an AMS, LMS, or Website system. We believe an association should not be blindsided by hidden risks when implementing an AMS, LMS, or Website. 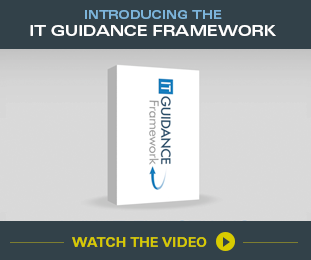 That’s why the Risk Register is included as a core part of the IT Guidance Framework, to reduce the risks and help you formulate a proactive plan to mitigate the consequences.